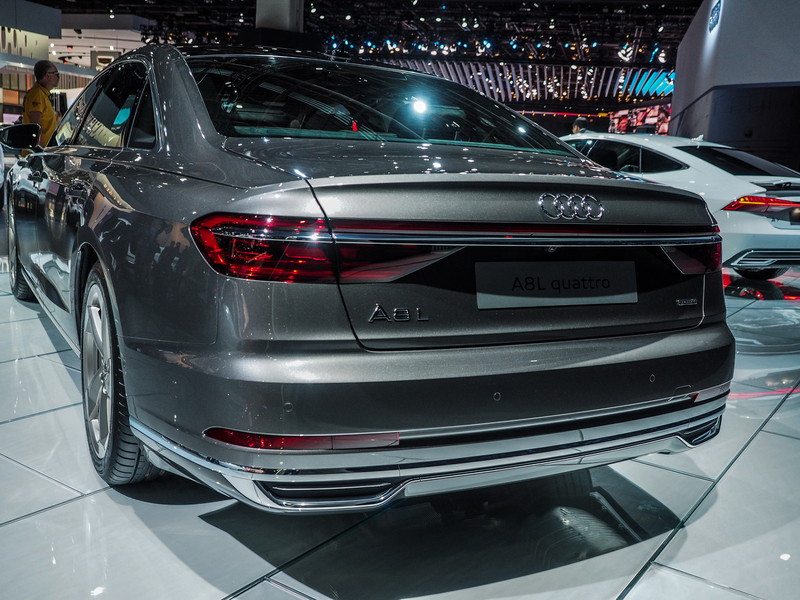 This new Audi A8 needs to be really, really good. It’s that simple. All of its competition, namely the Mercedes-Benz S-Class and BMW 7 Series, is superb and sells really quite well. 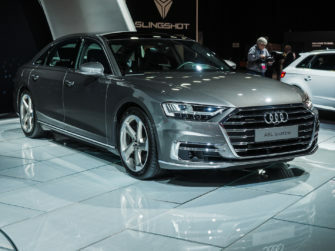 So the new Audi A8 needs to be a homerun if the folks in Ingolstadt want their flagship to have even a small chance at success. 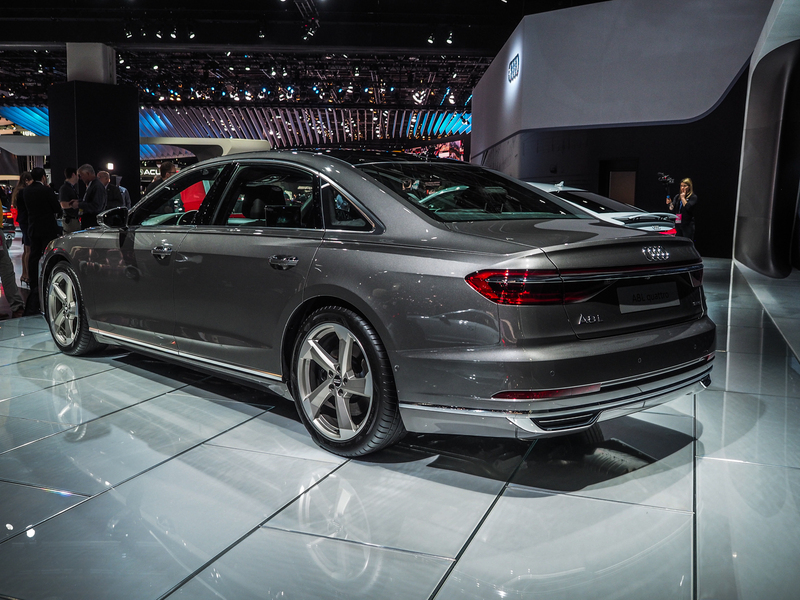 Thankfully, the new A8 looks quite promising, as evidenced from seeing it on its display stand at the 2018 Detroit Auto Show. 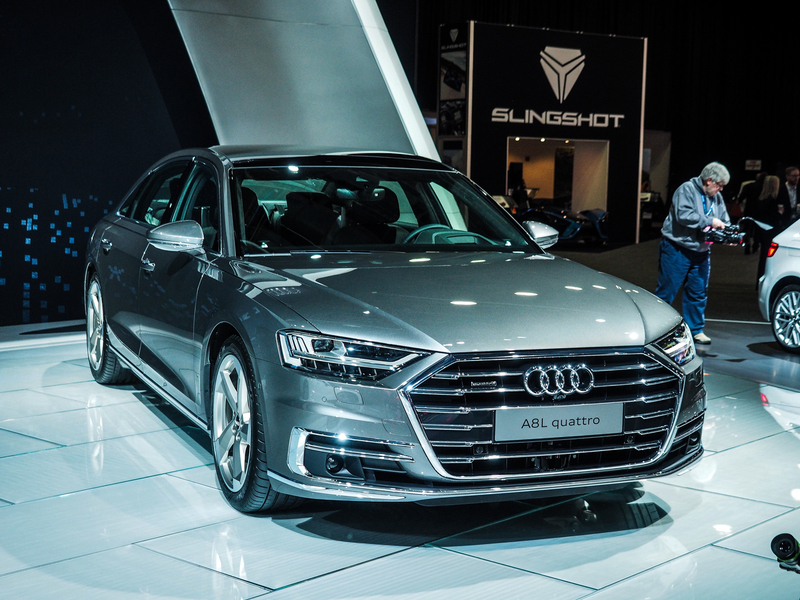 Now, the new 2018 Audi A8 isn’t the flashiest of cars, nor is it the most exciting looking car in the segment. 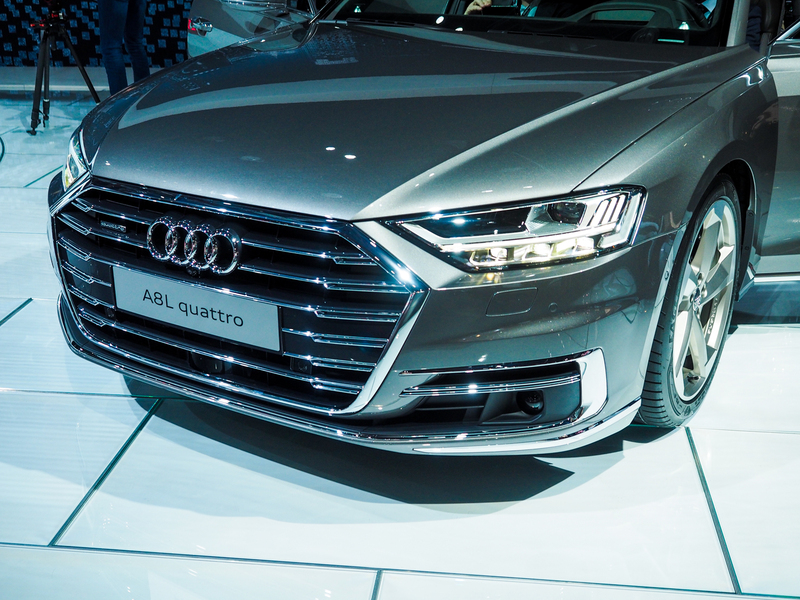 However, it’s handsome, elegant and sophisticated, which is exactly what Audi wanted. 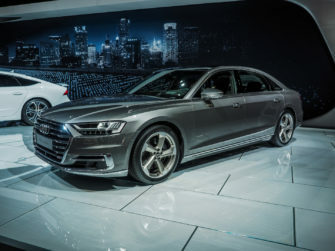 It also looks modern and high-tech, and that’s sort of Audi’s shtick. It also features some of the most prominent creases of any modern car, something all modern Audis have. 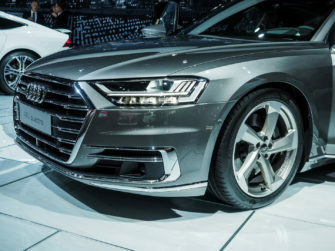 It’s actually extraordinary how sharp the creases and stamps in the sheet metal are on modern Audis. 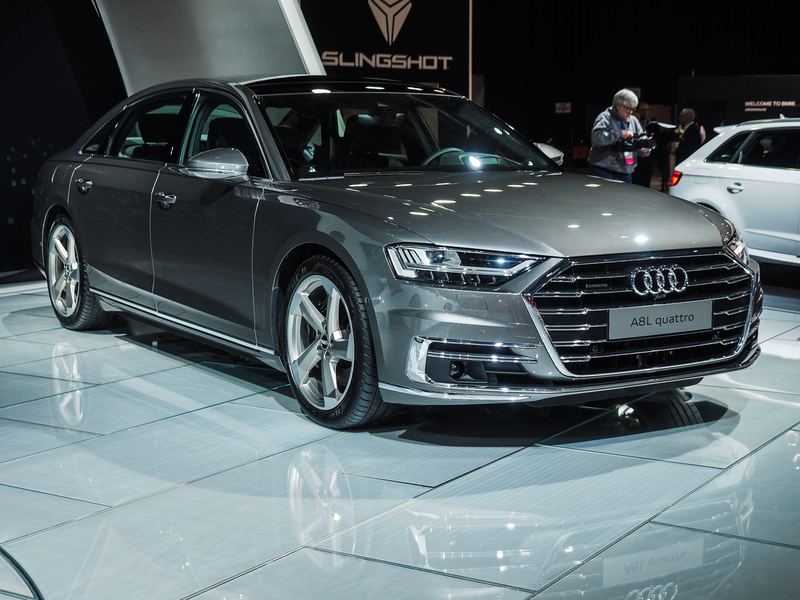 So while the A8 might be reserved in its styling, it looks expensive and premium. 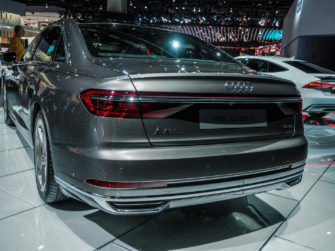 The new Audi A8 is based on Audi’s new MLB-Evo II architecture, the same one that underpins the Porsche Panamera and Bentley Continental GT. 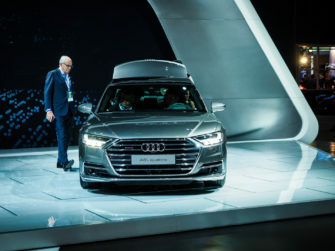 So it packs a ton of new technology and luxury, such as its MHEV (Mild Hybrid Electric Vehicle) system and its new electromechanical Active Suspension setup. The former increases efficiency by using a batter-alternator starter connected to the crankshaft, which acts as the starter motor and can actually shut down the engine and power the crankshaft on its own during high-speed cruising. 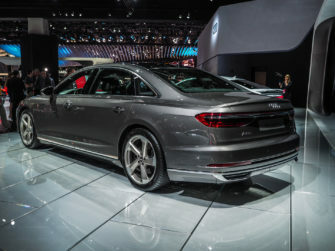 The latter creates an incredible supple ride while also being able to pre-adjust to bumps in the road, or even load up one side of the car in anticipation of a crash to increase safety. Both of which run off of a 48-volt electrical subsystem. 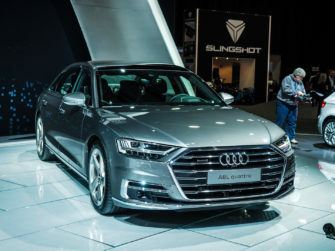 Inside the Audi A8, you also get incredible luxury and technology, such as a new touchscreen-based MMI system and even an optional foot massager for back seat passengers. 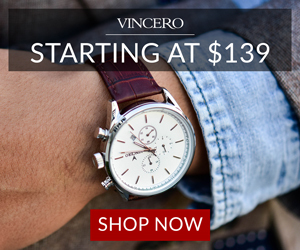 While the exterior might be a bit unexciting, the interior is a technofest of luxury technology. For those of you in the area, we recommend checking out the 2018 Detroit Auto Show and seeing the Audi A8 in person. It may not be the most thrilling car but it’s a seriously impressive luxury car and one that has a shot of dethroning its major German rivals. 2018 Detroit Auto Show: Audi R8 Spyder -- The Last of a Great Thing?